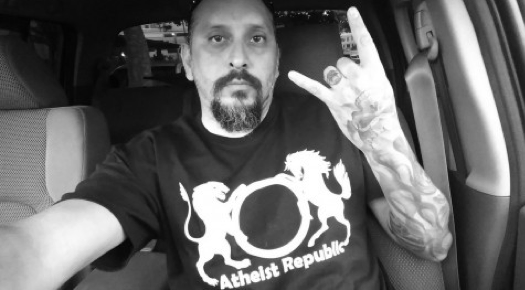 Atheists are usually very outspoken people who are not embarrassed about letting the world know what they believe in or do not believe in for that matter. They are familiar with being judged and ostracized yet they are firm about rejecting the belief in the existence of gods. For these courageous non-believers who have been fighting alone all along, we have an extensive collection of necklaces that carry atheist symbols so you can now proudly flaunt who you are and perhaps show support for others who are just like you. However, our necklaces are not only restricted to those who are brave enough to talk about atheism openly. They are also meant for those who have not yet found the courage to come out and identify as an atheist in fear of being stigmatized or discriminated against in society. Atheist Republic hopes that with these necklaces, you will now be able to express yourself without fearing discrimination or necessarily getting into a confrontation with someone else. The reason why atheists have a tough time being accepted by society is that religious institutions have maligned the idea of atheism just to defend their own ideas, which are mostly baseless. However, it is time for all of this to change! Hence, Atheist Republic deems it fit to introduce various accessories related to atheism to help atheists across the world express themselves. As you will see, our necklaces are bold, beautiful and fashionable. They can be used to spread the truth about atheism and rectify misconceptions that exist about the same. We know that the number of atheists are increasing rapidly world over and maybe with such initiatives, more people will look forward to denouncing their blind faiths. So make good use of our extensive collection of accessories and let the world know how proud you are to be an atheist!